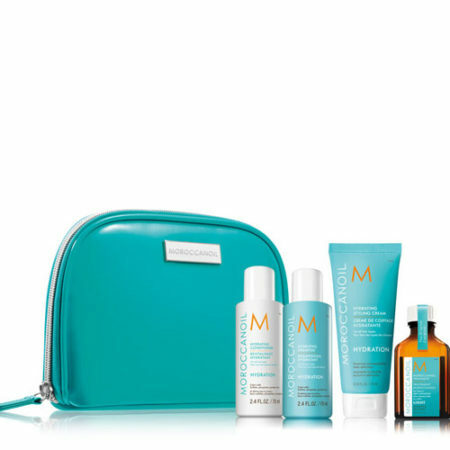 Quench thirsty hair on the go with the Moroccanoil® Destination: Hydrate Travel Set. Featuring Hydrating Shampoo and Conditioner, the original Moroccanoil Treatment and Hydrating Styling Cream, this limited edition set helps keep normal to dry hair deeply hydrated and perfectly styled. The argan oil-infused products come in a free cosmetic bag, perfect for a trip to the gym or a weekend away. Hydrating Shampoo (70 ml) – a gentle, daily-cleansing formula that provides hair with optimal hydration, leaving hair with increased health, elasticity and vibrance. Hydrating Conditioner (70 ml) – a gentle, daily-use formula that leaves hair soft, shiny and more manageable. 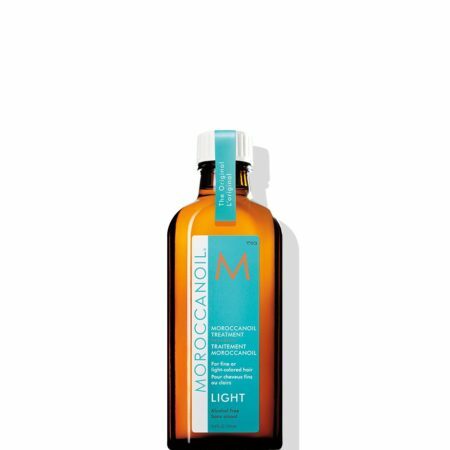 Moroccanoil Treatment (25 ml) – the original foundation for hairstyling that can be used as a conditioning, styling and finishing tool. Rich in argan oil and reparative proteins. Hydrating Styling Cream (75 ml) – moisture-rich, argan oil-infused hair styling cream adds shine and definition with a frizz-taming hold. Hydrating Shampoo: Massage through wet hair and scalp. Repeat if needed. 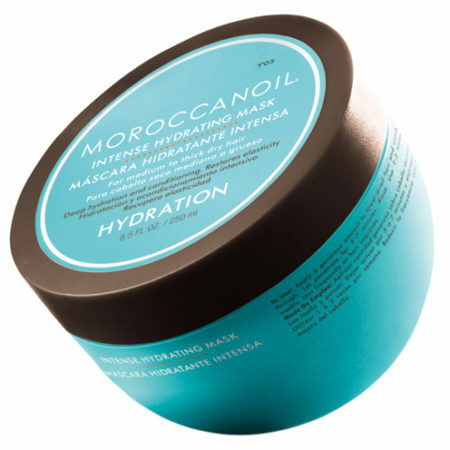 Follow with Moroccanoil® Hydrating Conditioner. Hydrating Conditioner: After shampooing, gently squeeze excess water from hair and apply conditioner from mid-length to ends. Leave on 1–2 minutes. Rinse well. 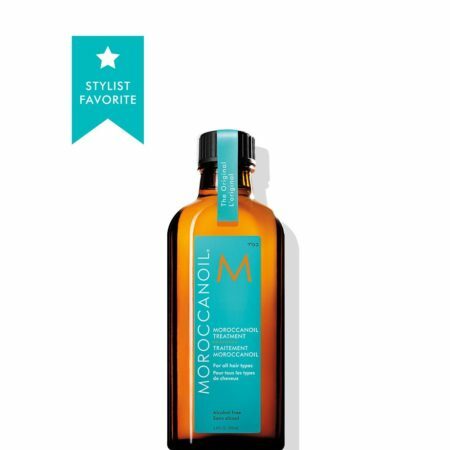 Moroccanoil Treatment: Apply a small amount to clean, towel-dried hair, from mid-length to ends. Blow-dry or let dry naturally. 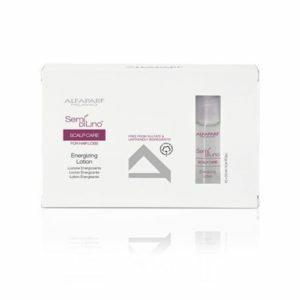 Hydrating Styling Cream: Apply 1–2 pumps to damp or dry hair from mid-length to ends. Blow-dry and style as usual or allow hair to dry naturally. Argan Oil: Extremely rich in tocopherols (Vitamin E), essential fatty acids and antioxidants, this natural oil helps to nourish. Algae: Natural moisturizer that protects cuticle against dryness.